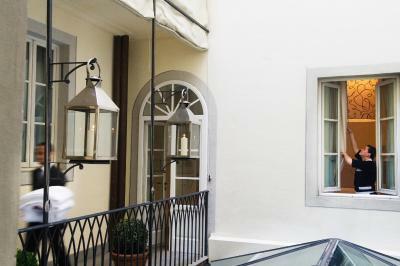 Lock in a great price for J.K. Place Firenze – rated 9.5 by recent guests! Complimentary breakfast, welcome drink, mini bar - always a welcome treat ! The hotel restaurant very yummy. I had already checked out, needed somewhere private to pump and they closed up a big room just for me and gave me as much time as I wanted. I loved that. great experience in this boutique hotel and location. the restaurant terrace in the Piazza provides ultimate relaxation. cozy rooms, personalized staff, unparalleled service. Best hotel experience ever! This is a wonderful hotel. At the price, it had better be. The staff is beyond amazing - helpful in every way imaginable. Location is perfect. Breakfasts are a treat. Beautiful decor, excellent service and great location. Great style and attention to detail, and great staff! design. amazing. best of the best. so much detail into everything. service. best of the best. the staff is simple amazing. trying to cope with every of ones need. Gluten free e dairy free products were delicious ! 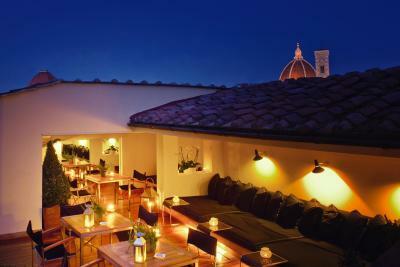 J.K. Place Firenze This rating is a reflection of how the property compares to the industry standard when it comes to price, facilities and services available. It's based on a self-evaluation by the property. Use this rating to help choose your stay! 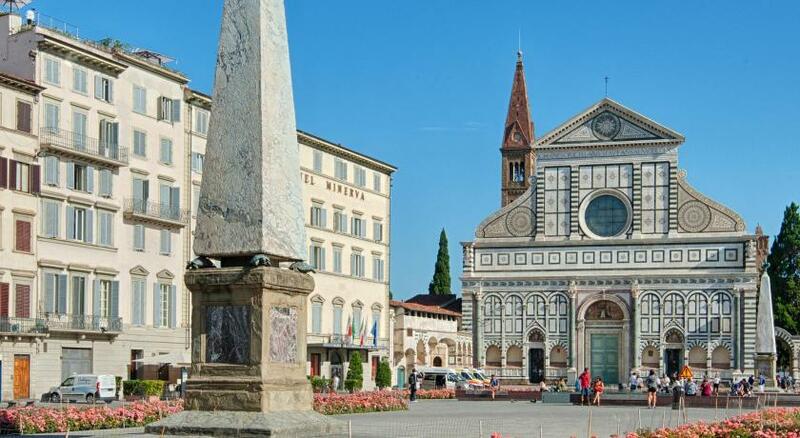 Set just 7 minutes’ walk from Santa Maria Novella Basilica, J.K. Place enjoys superb panoramic views from its rooftop terrace. It offers an à la carte restaurant, free WiFi and luxurious rooms with design features. Rooms at the 5-star J.K. Place are stylish and elegant, and decorated with unique features. Each comes with a satellite flat-screen TV. Some rooms overlook the hotel's gallery or the terrace. A large breakfast is served in the glass-domed courtyard. J.K. Lounge is open until 22:30 daily and is ideal for lunch, afternoon tea or an aperitif. A rich menu of Tuscan and Italian cuisine is served at dinner. 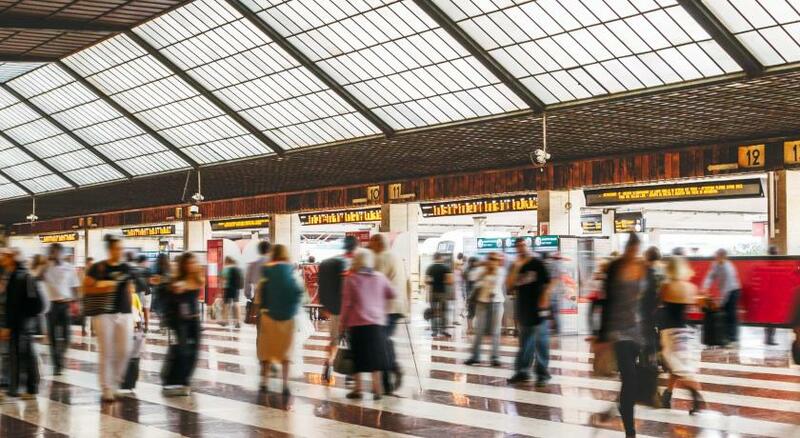 Santa Maria Novella Train Station is a 5-minute walk from the property. 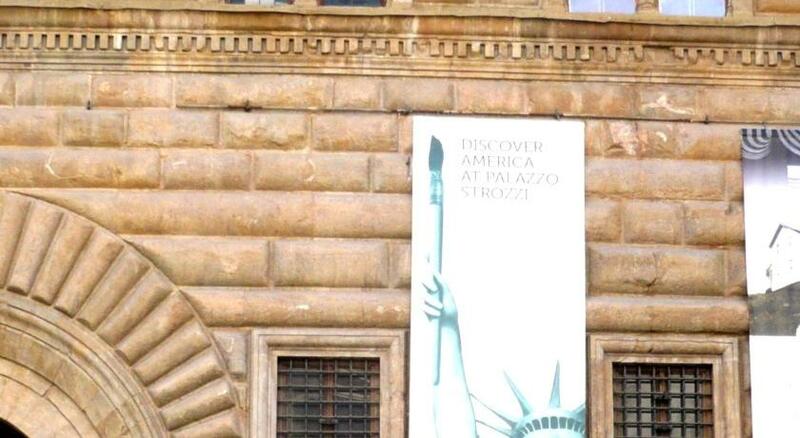 A guided tour of the Uffizi Gallery is available, as well as chauffeurs for wine tours of the Chianti region. 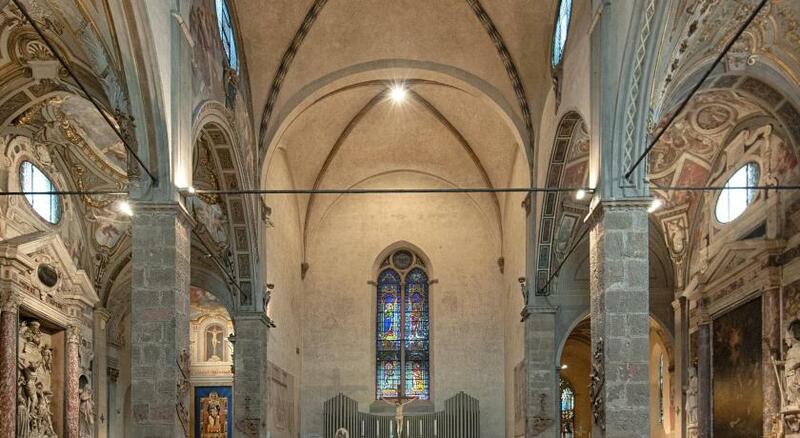 Santa Maria Novella is a great choice for travelers interested in food, churches and art. 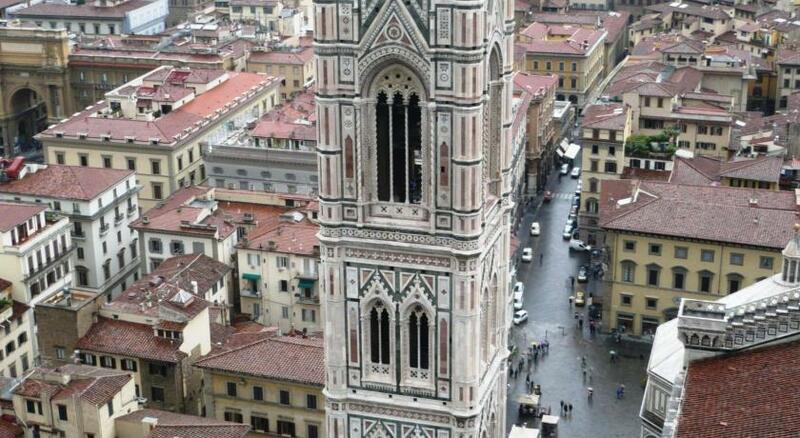 When would you like to stay at J.K. Place Firenze? Overlooking the internal courtyard and the hotel's private gallery, this romantic room comes with air conditioning and a four-poster bed. The modern bathroom is complete with slippers, toiletries and a hairdryer. This room can't accommodate extra beds or cribs. Private parking is available at a location nearby (reservation is not needed) and costs EUR 40 per day. Overlooking the internal courtyard or the hotel's rooftop terrace, this room comes with design furnishings and free Wi-Fi. The modern bathroom is complete with slippers, toiletries and a hairdryer. Spacious and uniquely decorated room overlooking the internal courtyard of the hotel. The modern bathroom is complete with slippers, toiletries and a hairdryer. 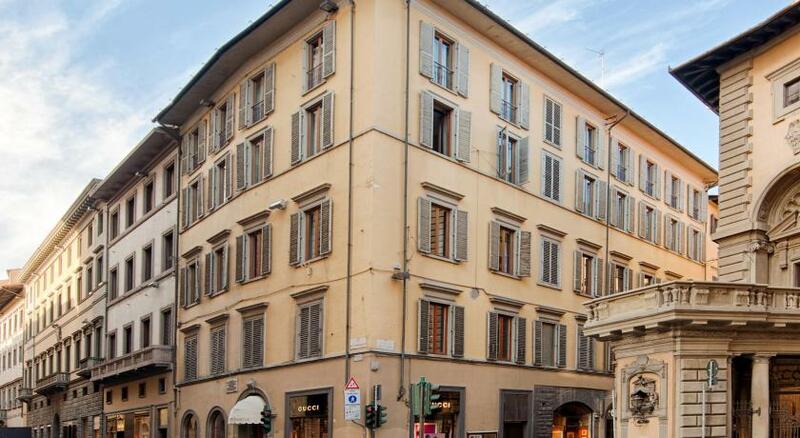 Spacious and elegant suite offering views of Santa Maria Novella square. It includes a decorative fireplace, a four-poster bed and a living area with a large white sofa. This 538 ft² suite is very peaceful, as it's located at the back of the property. There's a living room with sitting area and sofa bed, a separate bedroom, and a bathroom with bathtub and shower. It also includes an LED TV with satellite sports and cinema channels, free Wi-Fi, plus a safe and minibar. 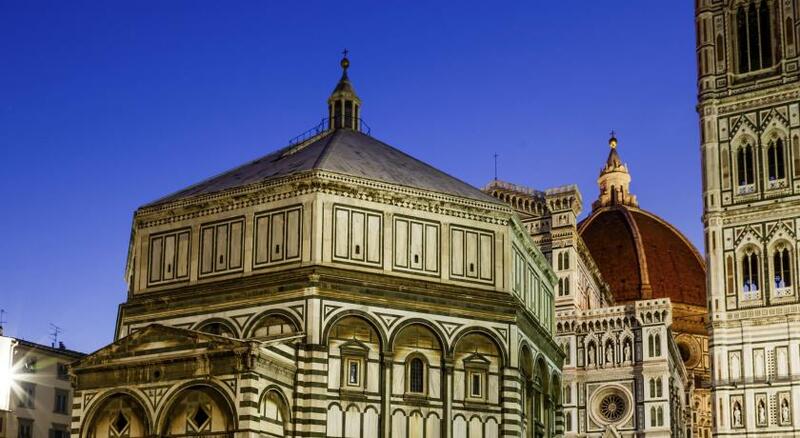 A former residence, hidden behind majestic, wooden doors in Piazza Santa Maria Novella, J.K. Place Firenze is a precious gem in this city of treasures. The restructuring of this Palazzo has resulted in a stylish “House” that unites traditional architecture with the comfort and luxury of modernism. In the 20 well-appointed rooms & suites cream along with brilliant light greys come on the scene with wengé wood and polished steel. For those who like laid-back environment the cozy J.K. TV Room, which features a large hi-tech flat screen and huge sofas, or the intimate and secluded roof-top Terrace on the top floor are the perfect spots to relax. In the charming, contemporary-style J.K. Lounge guests can enjoy sumptuous breakfast, lunch, afternoon snacks or an aperitif followed by a delightful dinner. 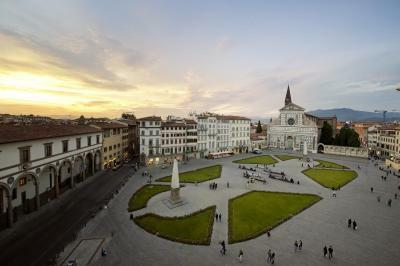 From April to October all-day dining is also available on the sleek J.K. Terrace, located in Piazza Santa Maria Novella. 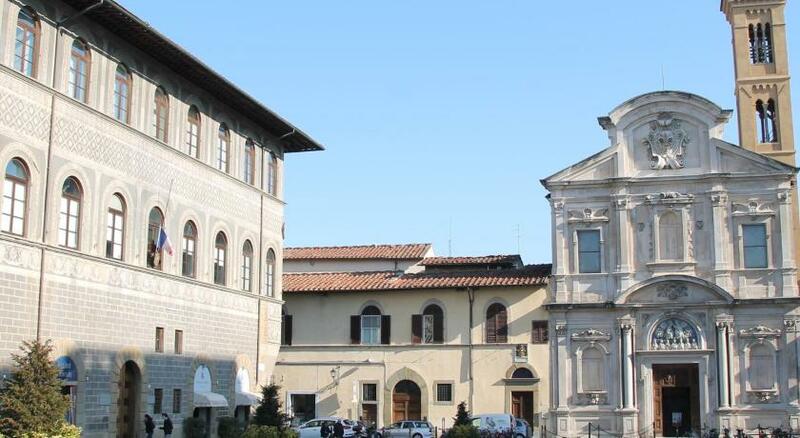 Hotel surroundings – This neighborhood is a great choice for travelers interested in food, churches and art – Check location Excellent location – show map Guests loved walking around the neighborhood! 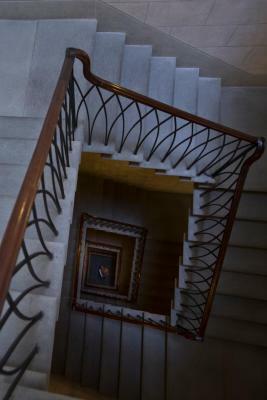 House Rules J.K. Place Firenze takes special requests – add in the next step! All older children or adults are charged EUR 150 per person per night for extra beds. J.K. Place Firenze accepts these cards and reserves the right to temporarily hold an amount prior to arrival. room too small. not very practical. mini bar in the night stand. room super design but not enough space to put our things. Some of the doors could do with soft-closers but that's just a minor adjustment. The staff were truly exceptional, especially Andrea, the restaurant manager. The reception staff were also super helpful and friendly (Giadda and Giovanni). The décor is very chic and understated. The room was really comfortable. 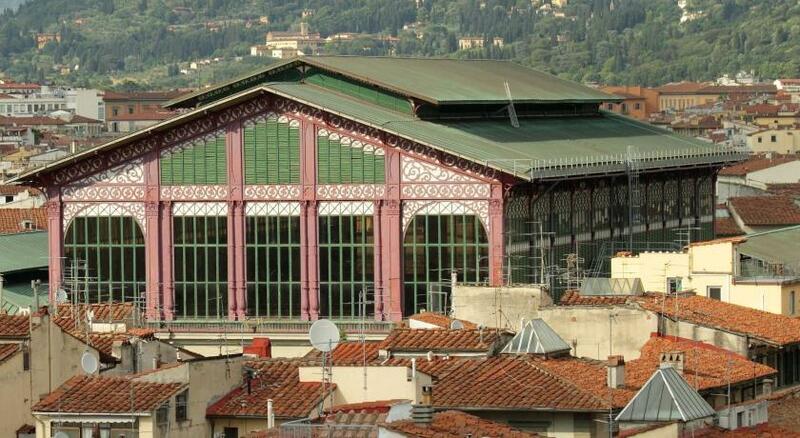 Their recommendations were brilliant - restaurants, museums, shops. Really classy place - not showy just great manners and style. Old-school that way but with modern comforts. Would definitely love to go back. room too small, no window. I wish hotels would put the tea bag in the pot with boiling water. I know Brits go on about tea but people distinguish re coffee as a positive and tea needs to be made correctly. It couldn't be any better! Everything! The attention to detail was just amazing! !